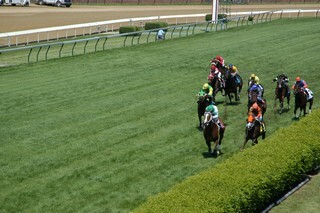 One week ago I was in Louisville, Kentucky, fulfilling another lifelong dream by attending the Kentucky Derby. I think there are many ways of dividing the world into two kinds of people (e.g., the people who think there are two kinds of people, and the people who don’t), and a major bifurcation is between those who are horse people and those who aren’t. I’m definitely a horse person. I took dressage and equitation riding lessons with my niece, Morgan, and dream of having my own horse if my life wasn’t so nomadic. I’ve watched all of the Triple Crown on television for years, and have explored the possibility of doing a Triple Crown set of spring travels; so when the invitation came to go to The Derby, I immediately accepted. I had a terrific time, met some great people, lost my $20 on Bandini (finished 18th out of the field of 20), and got to wear two hats. What could be better? 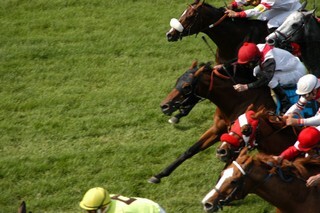 I’ve posted all of my photos into my Kentucky Derby photo album, which still has its French command options. Instead of laboriously posting each photo into Type Pad, Windows had an option to post to the web, and then to post to Type Pad. I don’t know if this was some kind of strategic alliance between Six Apart and Microsoft, but I loved being able to upload 174 photos automagically. Go Type Pad!